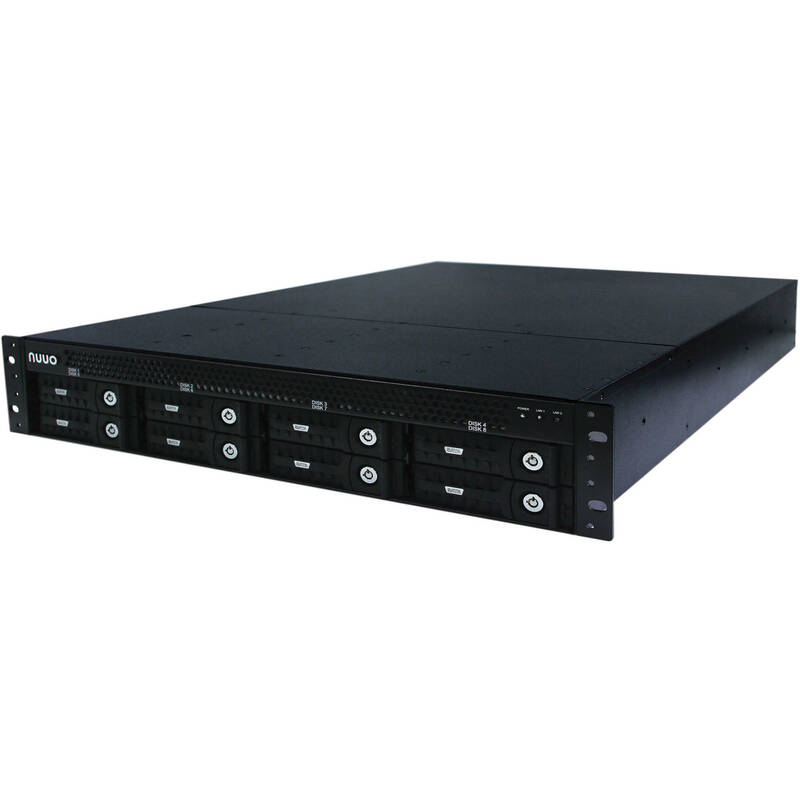 The NT-8040R Titan Enterprise 4-Channel 2U Rack-Mountable 8-Bay Network Video Recorder (16TB) from NUUO is a Linux embedded recording solution that supports H.264 encoding for up to 64 channels with a throughput of up to 250 Mb/s. The recorder is built with efficient data and event management architecture. You can select a smaller bandwidth profile for remote viewing to eliminate Internet bottlenecks without affecting the recorded videos. In addition, the NVR is equipped with command chain technology, which can synchronize user accounts and critical events across 100 servers, 400 channel live views, and 100 channel playback simultaneously. The recorder supports over 1360 camera models from over 56 brands. Thanks to the NUUO Image Fusion Technology, you can manipulate camera views by changing the viewing angle and image size, making viewing easier in both live view and playback mode. Moreover, you can stitch multiple cameras together to form a unified single view from up to 10 different cameras. The built-in File Ring recording engine handles high-resolution megapixel recordings by changing the way hard drives store and retrieve video data. It can process large amount of data throughput, boosting the recording performance of the recorder to 64-channel 2MP cameras (H.264, 15 fps, and moderate traffic). Note: Maximum 64 camera channels are supported through upgrade, to be purchased separately.